A quaint Colorado resort town offering the perfect winter-weather escape, Winter Park will provide you with memories to last a lifetime. Find out how you can save as much as 70% with Winter Park timeshare resales and rentals! What’s My Winter Park Timeshare Worth? Winter Park is one of the many resort towns in Colorado, a municipality surrounding a popular ski resort. Similar to its sister resort towns of Vail and Breckenridge, Winter Park envelopes the massive Winter Park Resort, a series of skiing and snowboarding trails that extend throughout the area. Sitting roughly 10,000 feet above sea level and covered by snow for six months per year, Winter Park is primarily a winter destination. However, summer months see plenty of hiking, mountain biking, and live entertainment options. With your Winter Park timeshare, you can visit one of Colorado's loveliest destinations any time of year you choose. Winter Park is home to a cluster of timeshare resorts dedicated to providing owners with the optimal vacation experience. Life at 10,000 feet is made more special with your Winter Park timeshare resort offering luxurious on-site amenities like mountain views, immediate access to ski lifts, and delicious dining options. Additionally, many resorts offer mountain lodge-themed accommodations, surrounding you in a delightful atmosphere replete with rustic furnishings and convenient in-room features. Are you ready to improve your Winter Park vacations? Learn more about owning a timeshare in Winter Park by filling out the form on this page, or call a representative at 1-877-815-4227. Exchanging your timeshare through RCI or Interval International will allow you to explore more timeshare opportunities outside of Winter Park. Arrive at your resort stress-free knowing you'll be walking into spacious units with condo- and townhouse-style floorplans. Plan to ski in the winter or hike in the summer with deeded fixed and floating weeks year-round, or use points to spend on accommodations whenever you choose. Resorts in Winter Park offer easy access to skiing and snowboarding, as well as a close proximity to town, where you'll find plenty of shops and restaurants. At 10,000 feet above sea level, you won't have to go far for skiing. Winter Park is surrounded by ski lifts to popular trails, allowing you to find fresh powder just minutes from your resort. 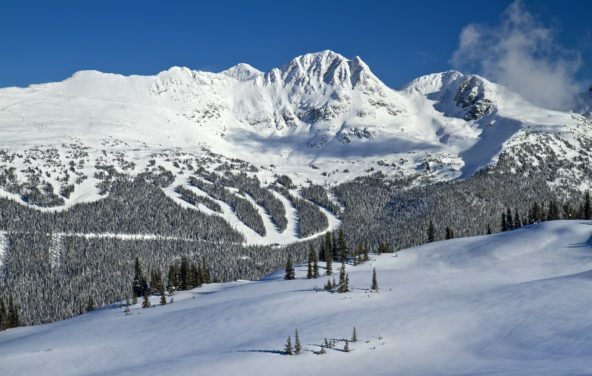 Spend your days skiing or snowboarding down stunning mountain slopes to enjoy a full vacation! Though the name may make you think otherwise, Winter Park can be a fun summer destination too. Catch live concerts downtown in the warmer months, or embark on a hiking or mountain biking expedition around some of the evergreen-covered mountains. Winter Park features a small, but lively community of just under 1,000 permanent residents. However, during peak travel season, this number can grow exponentially. Find unique shops and other great attractions right downtown! Though Winter Park may be small, it's not lacking in the culinary department. You'll find great restaurants in the area, some of which you may even be able to ski to! Check out Lodge at Sunspot, Snoasis, and Lime for amazing options. The easiest way for international and domestic travelers to get to Winter Park is to fly into Denver International Airport and find shuttle transportation to town. Winter Park is a small community, but it's also fairly remote. Rental vehicles may be best for easy transportation, though the area is also served by the Winter Park Express Ski Train. Already Own a Winter Park Timeshare?